Sabra is passionate about the Junior League of the Palm Beaches. She originally joined the League in order to make friends and learn more about the Palm Beaches because she was newly relocated to the area. However, she quickly realized that the League offered so much more. The opportunities to volunteer were diverse and personally enriching. The volunteer training offered by the League was so valuable in her growth as a leader. She has truly enjoyed all the opportunities offered by the Junior League. Sabra has been a member of the League for 19 years and has served in various leadership positions for 16 of those years. These positions include: Board of Directors Member at Large, Admistrative VP, Placement Advisor, Co-Chair Quantum House Committee, Secretary – Sustainer Board, Co-Chair Community Action Team, Co-Chair Nordstrom Opening, Nominating Committee, Sustainer/Active Liason, Co-Chair Transfer Committee, and Junior League Mentor. 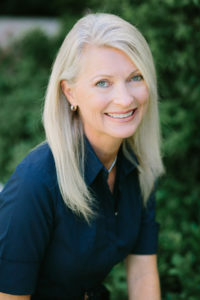 Sabra was born in San Antonio, Texas and has lived in the Palm Beach area since 1994. She joined the Junior League of the Palm Beaches in 1999 and has been a member since that time. Sabra is currently involved with the Loggerhead Marinelife Center as a member on the Blue Friends Society Steering Committee and the Go Blue Awards Luncheon Committee. She is also a member of the CouTOURe Club which raises awareness for and supports the Honda Classic’s various children’s charities. She also served on the Quantum House Board of Directors. Sabra worked as a Residential Real Estate Appraiser in corporate relocations for 9 years. She is currently a partner in Jensen-Johnson, LLC. She manages the finances and investments for the company. Sabra graduated with a Bachelor of Business degree in Finance from Stephen F. Austin State University. Her degree focus was on Real Estate and Investments. She will be starting the Master of Science in Leadership degree program at Palm Beach Atlantic University in the fall.